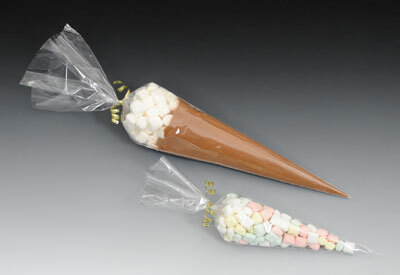 Use when you want to package or display cocoa mixes, candy, or pretzels in a creative way. Strong side seam construction. Meets FDA specifications for food contact. Use our twist ties to close.